(Boston, January 9, 2015) – Boston Global Forum announced that it will now focus on executing its initiative, the Framework for Peace and Security, to ensure the peace and security in the Pacific region. Accordingly, BGF’s newly formed body, the Young Leader Networks for Peace will start monitoring situation of the region through its Pacific Peace Monitor Council. People and organizations around the world are encouraged to send reports about situations in their regions, any conflict potentials, or any violations to UN Convention on the Law of the Sea (UNCLOS) and international conventions and law, etc to the Council via email address Summit@BostonGlobalForum.Org. 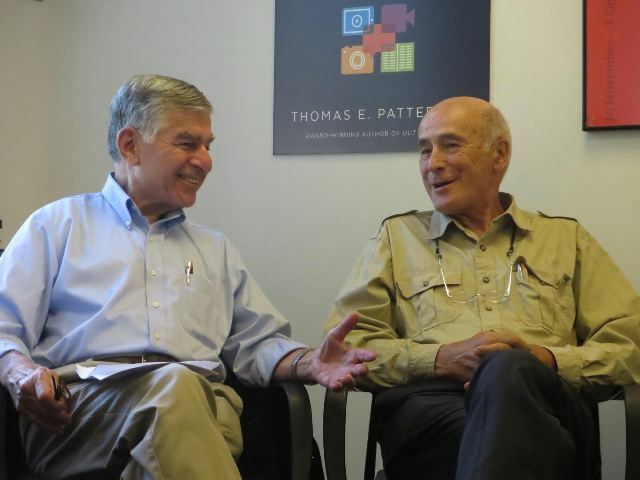 Governor Michael Dukakis and Professor Joseph Nye are key leaders of the Framework for Peace and Security in the Pacific. The Council will verify all received reports and go on several inspections before making an official alert and sending petition to related governments with purpose of prevention and settlement of the conflicts. The initiatives are lead by a distinguished group comprised of influential figures in the fields of politics, diplomacy and international relations including Governor Michael Dukakis, the former Democratic nominee for President (1988) and currently Chairman of the Boston Global Forum; Professor Joseph Nye, the pioneer of Soft Power, member of Foreign Affair Policy Board to Secretary of State John Kerry, and a member of Boston Global Forum Board of Thinkers; The Honorable, the former Kevin Rudd Australia Prime Minister; Professor Ezra Vogel; Professor Thomas Patterson; Professor John Quelch; Madam Vaira Vike-Freiberga, President of the Club of Madrid and former President of Latvia (1999-2007); Professor Ambassador James D. Bindenagel; Ambassador Ichiro Fujisaki, the former Japan ambassador to U.S., and many others. The initiative also brings the opportunity for the weak countries to speak up, and bring forward the fact of conflicts, violation to UNCLOS and international law and conventions, or report the bullying behavior by stronger countries. Boston Global Forum was founded on December12, 2012 by former Massachusetts Governor Michael Dukakis, Distinguished Professor at Harvard University, Professor John Quelch, Charles Edward Wilson Professor of Business Administration at Harvard Business School; Professor Thomas Patterson, Bradlee Professor of Government and the Press, Harvard Kennedy School, and Nguyen Anh Tuan, Editor-in-Chief, Boston Global Forum and the Founder and Chairman of VietNamNet Media Group and VietNet, the first Internet Service Provider in Vietnam.